Whilst we have all become used to seeing hundreds, if not thousands, of photos every day on our hi-resolution phone screens, nothing can replace seeing your wedding photos in print and professionally displayed in a high quality album. There is something really magical about picking up an album of once-in-a-lifetime photos and leafing through the story of your day, one page at a time. When you receive your wedding photos, you will no doubt be overwhelmed by the choice of images and memories to select for your album. However decisive you think you are, you will need to allocate some time to sit together and make your choices as it won't be easy (although it will be a lovely dilemma to have). A good way to start selecting photos is to assign each spread of the album to a different element of the wedding, starting in chronological order with the venue(s) to set the scene. After that think think of other key elements such as the preparations, ceremony, group photos and reception shots. Imagine someone who had not been to your wedding was viewing it and try to illustrate your favourite parts of the day through the images. Group shots aren’t always considered to be the most exciting of shots, but they are necessary in order to make sure all of the important family members and guests are captured. It is rare for couples to choose a large number of group shots for the album (although you are welcome to do so) so think about including images of loved ones who you may not see often or who may not be here in 5 or 10 years’ time. If you do choose to include groups shots of large groups, you may wish to dedicate half a spread / page to each photo so that everyone's faces are visible. Following your wedding, you will have photographs in both colour and black and white. If there is any photo that you want converted from colour into black and white (or vice versa), then of course I am happy to do this for you. When collating images for your album, I do recommend that you stick to one or the other per page or spread as this tends to look more balanced and aesthetically-pleasing. Sometimes there may be photos that are are very similar in setting or composition, with only a slight difference in expressions, stance or composition. Your first reaction may be to whittle these down to a single favourite image but this is always necessary. Sometimes laying out similar images next to each other on a page can work really well, so if you are agonising over a choice three or four similar images, it might be worth including them all. Your big day is comprised of so many little details so it is important to consider including these in your wedding album. Dedicating a page or a spread to the shoes, outfits, flowers, centerpieces and favours can remind you how much effort went into your special day years down the line. Please never feel that you have to whittle down your selections too much. 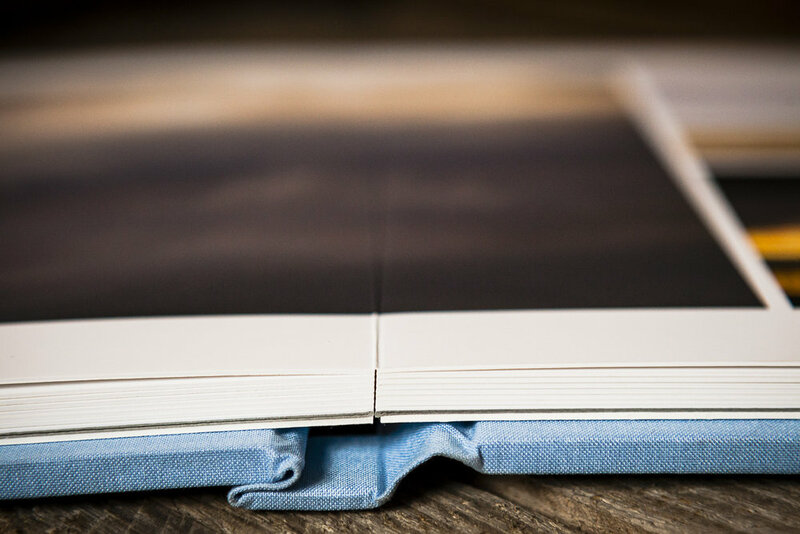 There is always the option to add extra pages or upgrade to a larger album if necessary. There are endless layout options, so you may wish for certain images to take up a whole, page whilst you may want other pages to feature a variety of smaller images. 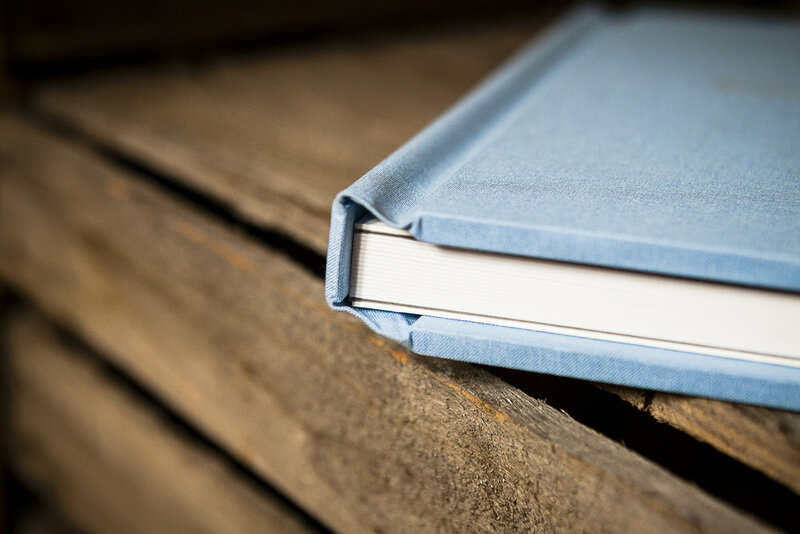 These are lifelong memories so your photographer will be happy to design as big an album as you need! Follow these tips and with a little time and effort, your wedding album will be a perfect keepsake of a wonderful occasion.